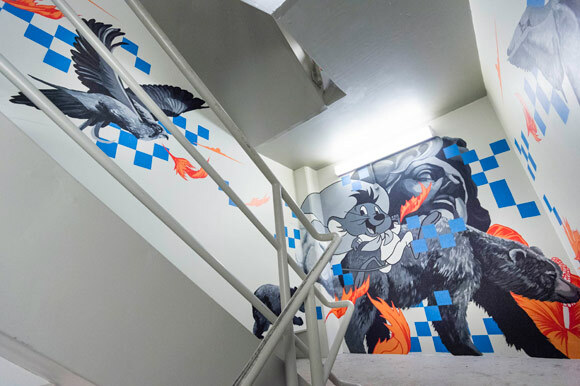 A creative placemaking project at Commonwealth Bank Place in Darling Quarter to enliven the daily lives of the CBA staff. 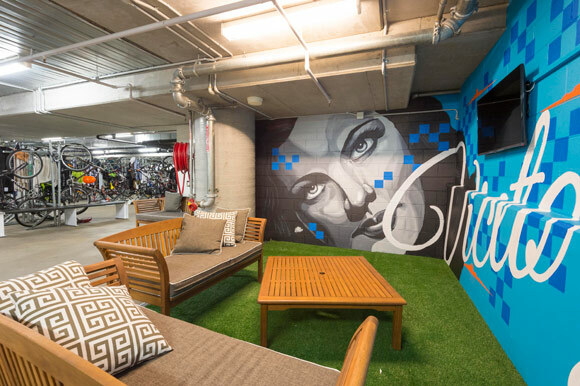 Wiltshire + Dimas were engaged by the place managers of Darling Quarter to design and deliver environmental design concepts to the lower facilities levels of the Commonwealth Bank Place in Sydney. 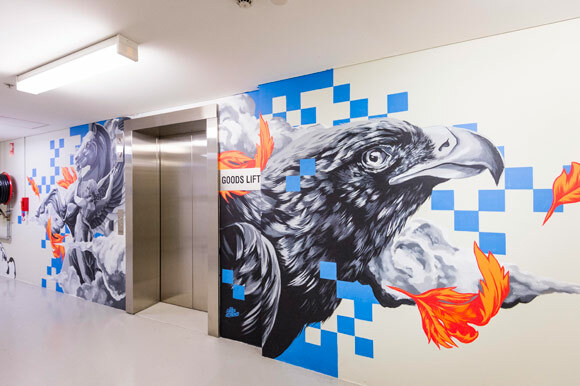 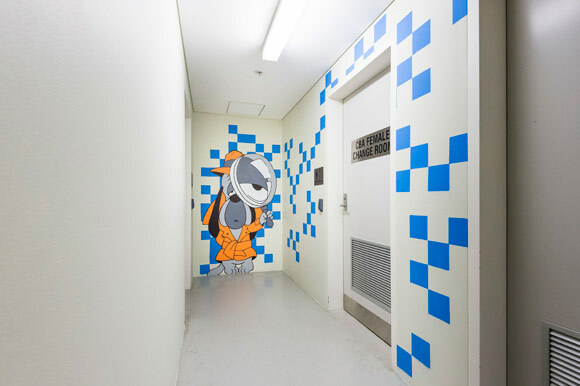 The concept replaced traditional directional signage with creative contemporary street art incorporating a directional pathway that not only informed but also set a positive tone to a working day. 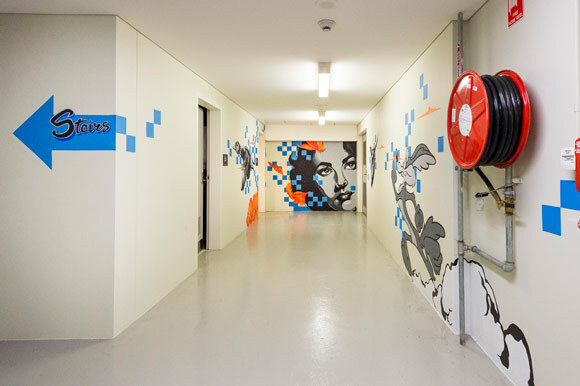 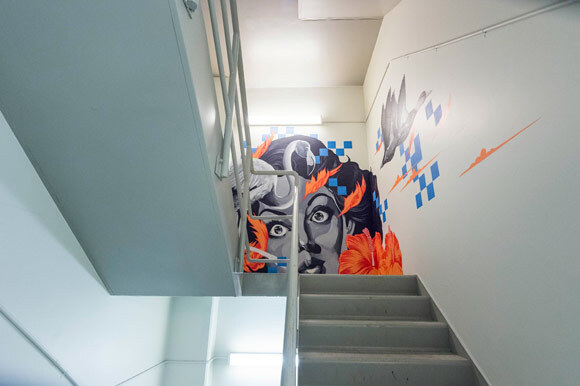 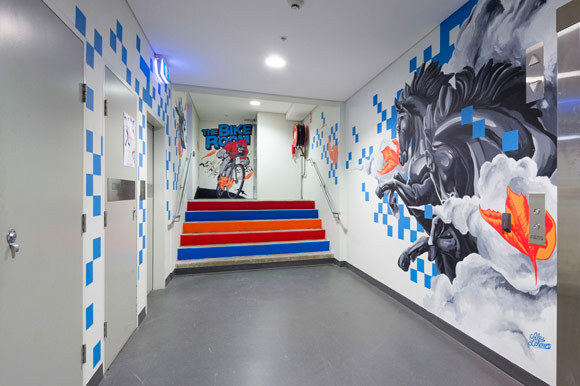 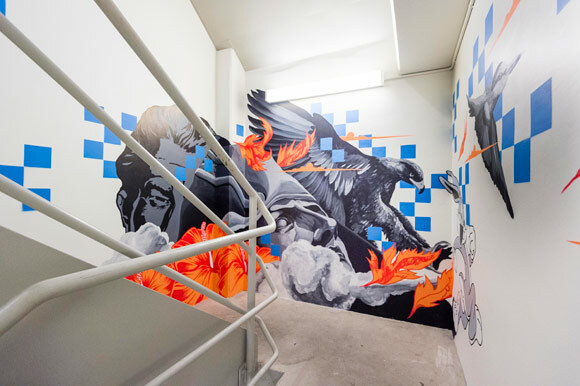 Sydney based artist Alex Lehours was commissioned to execute the project in close consultation with us.